Those who live within the boundaries of Razmir's holy lands know the power of the Living God. He makes his presence felt through demands of fealty, ever-increasing tithes, and the less-than-gentle hands of his most devout subjects. Of these devotees, it is Razmir's clergy that most accurately represents the fervor of their lord. They roam the lands spreading word of the power of Razmir, and using that power to convince the unfaithful of their misplaced loyalties in other gods and governments. The Razmiran priest, one of the most powerful of Razmir's servants, brings the Living God's gifts to the common folk and his wrath to his enemies. From behind his mask, the priest judges all he sees, meting out harsh justice in the name of his deity. Many doubt the powers of the clergy, and some would even dare to call Razmir “false.” These fools soon learn the error of their ways when the Razmiran priest pays them a visit, using the gifts of the god to smite such heretics. A devotee who wishes to become one of Razmir's most trusted priests must undergo a lengthy ritual in the capital of Thronestep. It is said that Razmir himself conducts the final steps of the ritual, blessing the new priest and judging his purity. Those who are found worthy emerge from this secret, mysterious process as absolute believers, while those deemed inadequate are never seen again. A new Razmiran priest finds himself on a quick path to power, prestige, and wealth, as the hierarchy of Razmir's faith treats most priests as superiors. Indeed, many Razmiran priests find themselves quickly rising in rank to become Heralds of the Eighth Step or possessors of even greater power in short order. To qualify to become a Razmiran priest, a character must fulfill all of the following criteria. Special: Must travel to Thronestep to undergo a special ritual whereby the character's faith in Razmir will be tested. 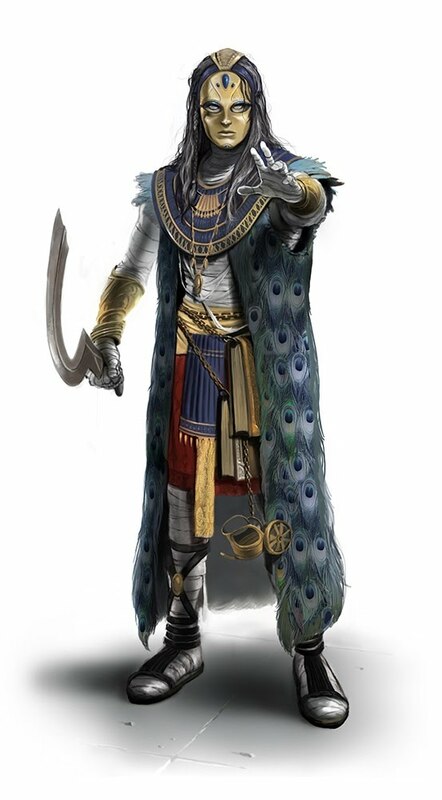 The Razmiran priest's class skills (and the key ability for each skill) are Bluff (Cha), Diplomacy (Cha), Intimidate (Cha), Knowledge (religion) (Int), Sense Motive (Wis), and Use Magic Device (Cha). All the following are class features of the Razmiran priest prestige class. Weapon and Armor Proficiency: A Razmiran priest gains no additional weapon or armor proficiencies. A Razmiran priest may select one of the following domains: Charm, Evil, Law, or Trickery. A Razmiran priest gains the granted powers of that domain, using his arcane spellcaster level as his cleric level and his Intelligence or Charisma modifier (whichever is higher) in place of his Wisdom modifier. He does not gain any domain spells from this domain. At 5th level, a Razmiran priest may select a second domain from those listed above and may use the granted powers of that domain as well. At 1st level, a Razmiran adds both bless and cure light wounds to one of his arcane spell lists, but treats them as if they were 2nd-level spells. If he is a spontaneous caster, they are also added to his list of spells known. Whenever he casts cure light wounds using this ability, the hit points healed are instead treated as temporary hit points that last 10 minutes per Razmiran priest level, although the subject of the spell does not notice this difference until the duration expires. Temporary hit points from this (and any subsequent cure spells) do not stack. In addition, whenever a Razmiran priest uses False Casting to cast a 0- or 1st-level spell on the cleric spell list, he receives a +10 circumstance bonus on any opposed Bluff check made when casting the spell. Starting at 2nd level, a Razmiran priest can channel positive energy to heal living creatures like a cleric, healing 1d6 points of damage, plus 1d6 points of damage for every two Razmiran priest levels after 2nd. He can use this ability a number of times per day equal to 3 + his Intelligence or Charisma modifier (whichever is higher). The hit points healed by this ability are treated as temporary hit points, and last for 10 minutes per Razmiran priest level. These hit points do not stack with themselves (although they do stack with those from cure light wounds cast using the first ritual class feature). This ability does not count for the purposes of meeting any prerequisites that call for the ability to channel energy. This ability cannot be used to harm undead creatures. At 3rd level, a Razmiran priest adds his class level to any Bluff check made as part of a lie or deception. In addition, whenever he is subject to a spell or special ability that can discern whether or not he is telling the truth, he is automatically aware of such magic. He is not immune to such spells or abilities, but he can choose to remain silent or avoid answering questions. At 5th level, a Razmiran priest adds cure moderate wounds and spiritual weapon to one of his arcane spell lists, but treats them as if they were 3rd-level spells. If he is a spontaneous caster, they are also added to his list of spells known. As with the first ritual, any hit points gained from cure moderate wounds are temporary hit points. Finally, whenever a Razmiran priest uses False Casting to cast a 2nd- or 3rd-level spell on the cleric spell list, he receives a +10 circumstance bonus on any opposed Bluff check made when casting the spell. At 7th level, whenever a Razmiran priest heals himself using false channel, the effect heals damage, instead of granting temporary hit points. This has no effect on others in the area of effect. At 9th level, a Razmiran priest adds cure serious wounds and prayer to one of his arcane spell lists, but treats them as if they were 4th-level spells. If he is a spontaneous caster, they are also added to his list of spells known. As with the first ritual, any hit points gained from cure serious wounds are temporary hit points. Finally, whenever a Razmiran priest uses False Casting to cast a 4th- or 5th-level spell on the cleric spell list, he receives a +10 circumstance bonus on any opposed Bluff check made when casting the spell. At 10th level, a Razmiran priest attains true power. Whenever he uses false channel, he can spend two uses of that ability to heal damage to all living creatures in the area, instead of granting temporary hit points. In addition, when determining what spell trigger and spell completion magic items he can use, he acts as though all cleric spells were on his spell list. This makes it so that he does not need to make a Use Magic Device skill check when using such items, but he must still make Bluff skill checks when using False Casting with such spells.